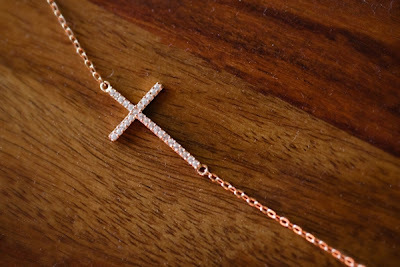 David from Brooklyn Arts always makes the most gorgeous jewelry, so when asked if he could send me one of his sideways cross necklaces to review I jumped at the chance. 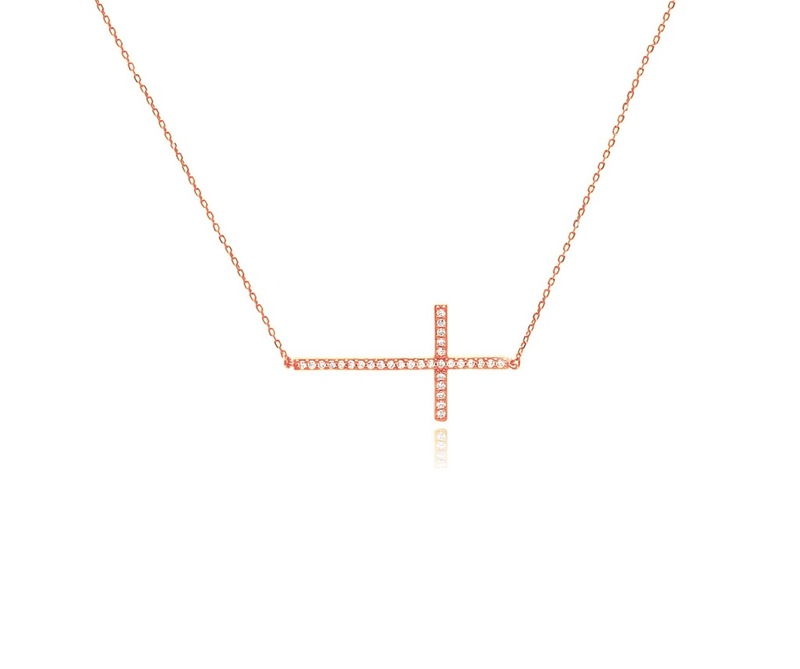 I've seen a lot of different versions of these necklaces, but what I loved about the Brooklyn Arts version is the variety of metals (this one comes in rose gold *my choice*, gold, or sterling silver) as well as the gorgeous pave crystals inset in the cross. 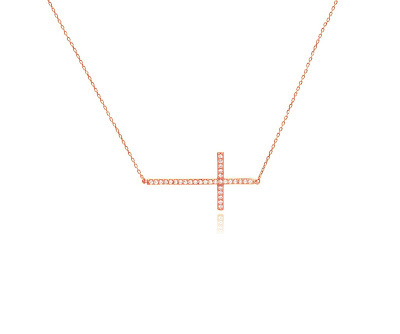 It's a gorgeous detail that I just love, and it adds a great sparkle to the delicate necklace. I also love that there are a couple different options at the clasp, giving you a little bit of choice on the length depending on how it fits you. David has also generously offered a discount code exclusive to Look 4 Less readers. Just use code L4LMOM20 for 20% off at his ArtFire.com store HERE, and you will also get THESE free earrings (pictured below) with any purchase of $50+ through 5/31/13. You can also get a coupon for 10% off by liking Brooklyn Arts on Facebook (click HERE). Disclosure: Necklace was sent to me by David of Brooklyn Arts to review for the blog.